peroxide | Frozen Pizza, Again? no more yellow armpit stains! I did not intend for this blog to be just for food recipes, though you wouldn’t know that from my posts. My intention was/is to post about the new things I’ve tried as I am learning to be a housewife. Lately, the only new things have pretty much been recipes, but I finally tried something new in the field of laundry. 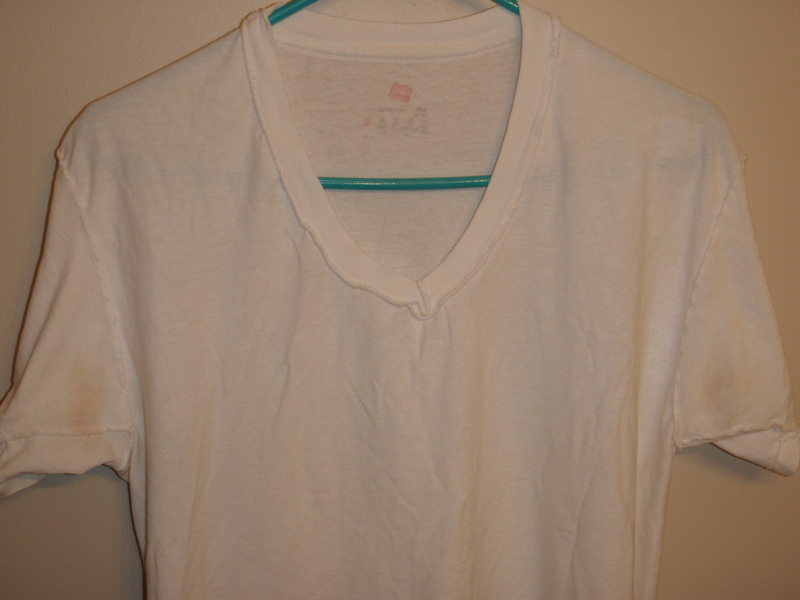 2. no one sees his undershirts, but I was curious about a new cleaner I saw on Pinterest and I do get tired of his shirts looking dirty even though they are clean. So I gathered several of his most used undershirts (that just so happened to also be dirty) and set out to try this new stain remover. Mix up the ingredients in a small bowl. Take the scrub brush, dab a bit of the cleaner on the spot, and scrub away. Let the shirt sit for about an hour, and then launder as usual. 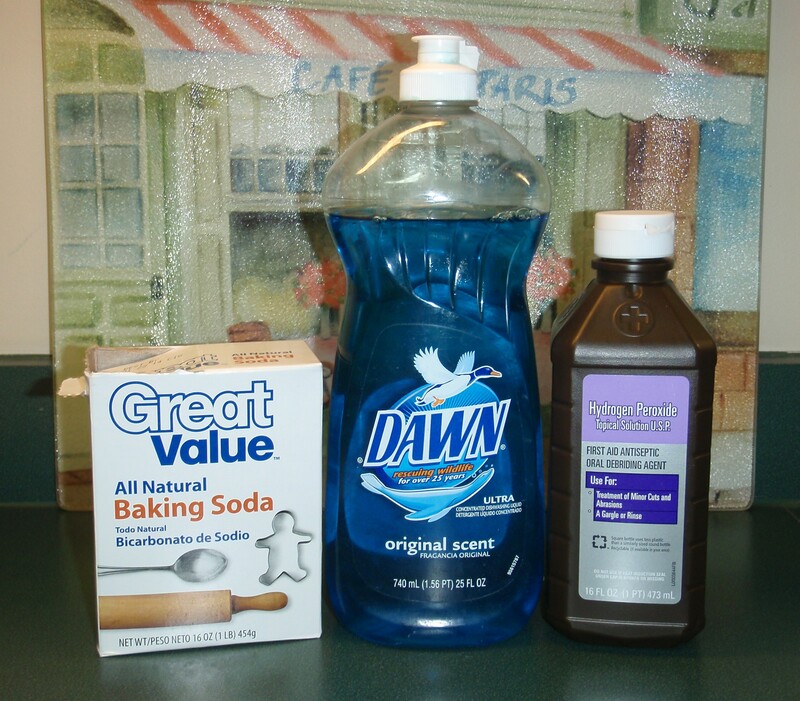 This stain remover should not be mixed in large quantities and saved for later use. Hydrogen peroxide (H2O2) breaks down when exposed to light and turns into regular H2O (which is why it is always sold in a brown bottle). I took before and after shots so you can see the difference. 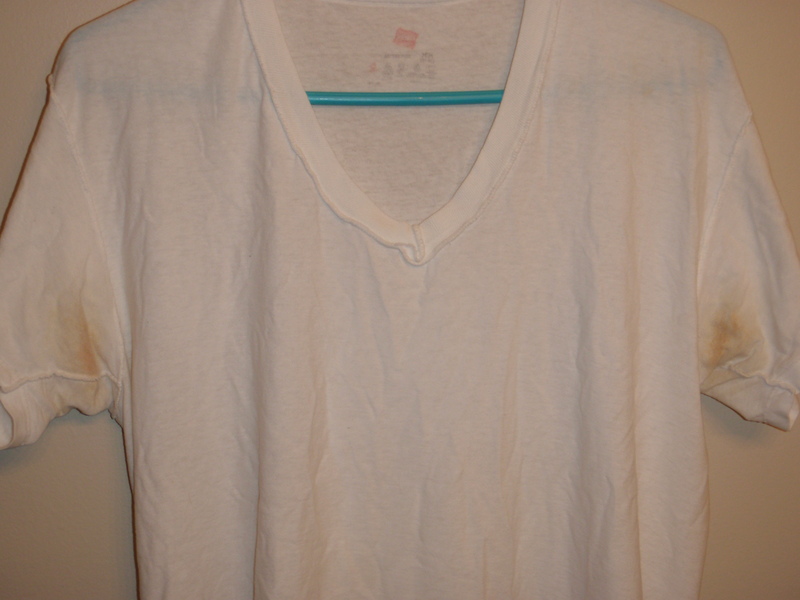 When Russell saw me taking pictures of his undershirts, he asked if I was going to share them with the internet and seemed quite amused when I said “yes.” So here now for all the internet to see are Russell’s undershirts, freshly washed and relieved of their yellowness (mostly*). *The lighter stained shirts came clean on the first try. The darker stained ones (including the one pictured above) did lighten up significantly but did not come completely clean. 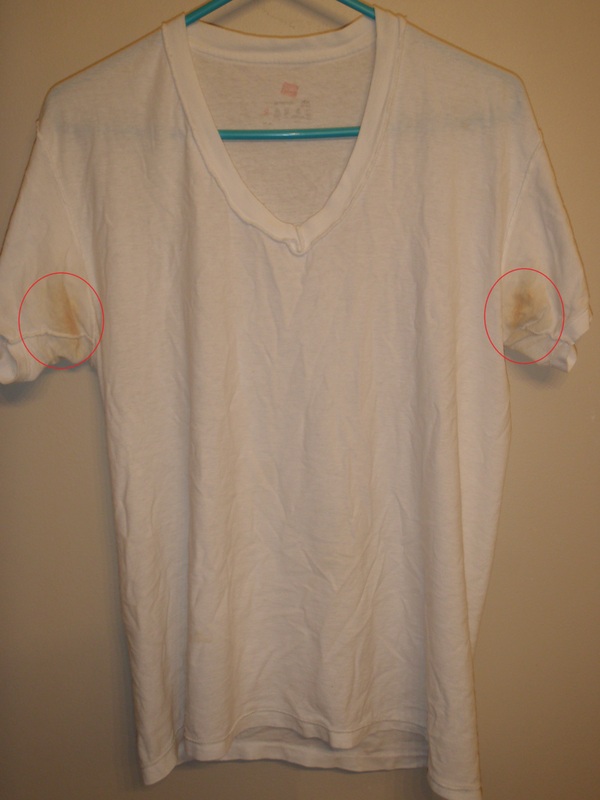 I was disappointed, but upon closer inspection I think I figured out why: I discovered that the inside of the shirt, which I had scrubbed, had indeed come clean and the yellowness that remains is only on the outside, which I had not scrubbed. 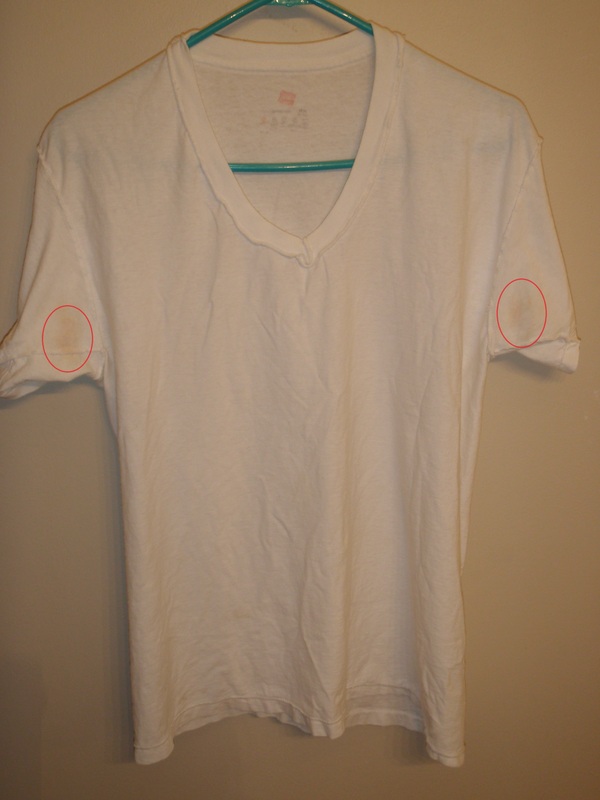 The stain remover had, in fact, done its job, but I just had not realized that the shirts needed to be scrubbed on both sides. So, in conclusion this stain remover is super awesome and actually makes me a little bit excited about doing laundry!